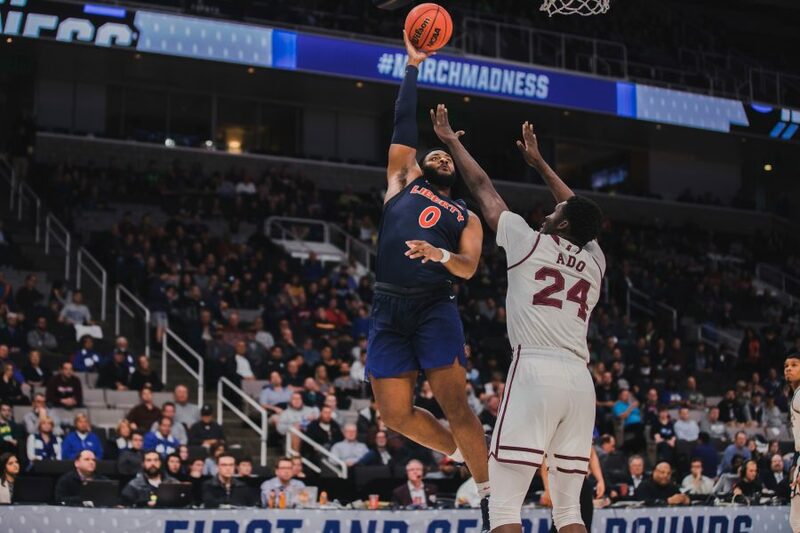 History was made in San Jose, California, as the Liberty Flames basketball team upset the Mississippi State Bulldogs 80-76 in the first round of the NCAA March Madness basketball tournament. The victory was Liberty’s first ever after going 0-3 in their previous trips to the tournament. The upset was 2019’s second 12-seed vs. five-seed upset as well, coming after No. 12 Oregon defeated No. 5 Wisconsin earlier in the day. Senior Lovell Cabbil was Liberty’s most accurate shooter of the night. The victory was hard-fought on both sides with nine lead changes and six ties. The Bulldogs led by as many as 10 points during the second half, but slowly fell behind due to foul trouble from both their top shooters, Lamar Peters and Quinndary Weatherspoon. Liberty shot 80 percent from the free throw line (20-25) compared to the Bulldogs 78 percent (18-23). The Flames were led by redshirt juniors Myo Baxter-Bell and Caleb Homesley, as well as senior guard Lovell Cabbil. Baxter-Bell brought in 13 points, four rebounds and four assists while Homesley led the Flames with a career-high 30 points. Cabbil was Liberty’s third player in double digits with 18 points and Liberty’s most accurate shooter of the night with 57 percent shooting overall and 75 percent three-point shooting. 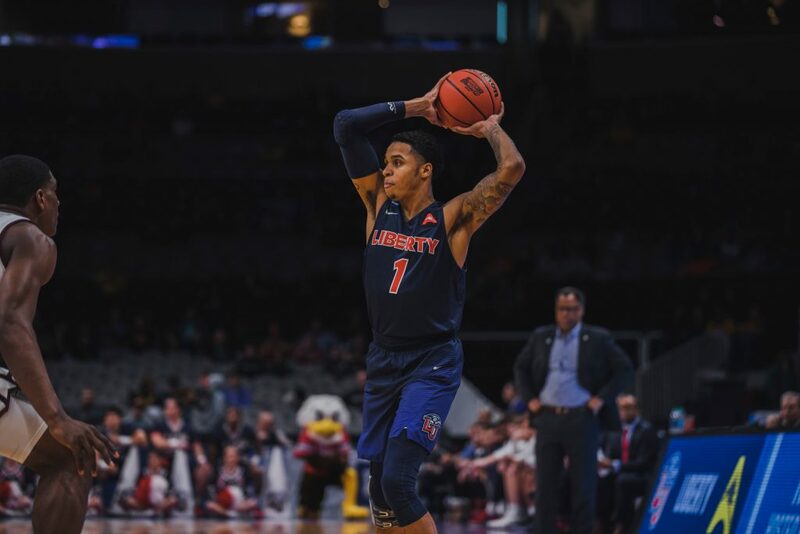 Liberty’s versatility shone as its top scorer, redshirt junior Scottie James was held to six points, half his usual 12-point average. Though he fell short, the rest of his team picked up the slack, including Baxter-Bell from the bench. The Vines was far from silent, despite having no teams on the court. The stands were packed with Liberty students and fans as the game was broadcast onto the big screens. Even though the Liberty players could not hear their cheering fans from 2,700 miles away, the Vines Center roared as Baxter-Bell sank his final two free throws to put the Flames up 80-76 with three seconds remaining. The Flames will stay in San Jose for the rest of the weekend until they face off against No. 4 Virginia Tech sometime Sunday. The time will be confirmed Saturday. 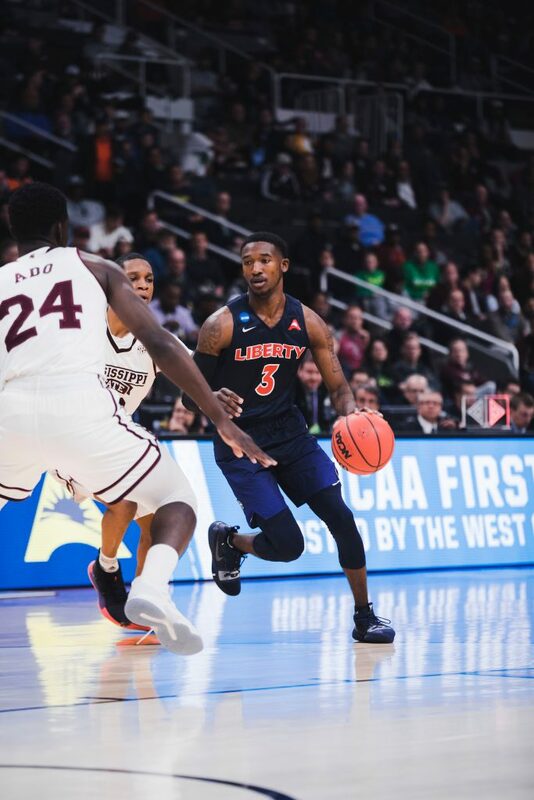 Liberty Men’s basketball plays Mississippi State in the first round of the NCAA Tournament, march madness, on March 22, 2019. Miss. State lost one-third of its games. They had a lot of upsets this year on their way to a fifth seed.